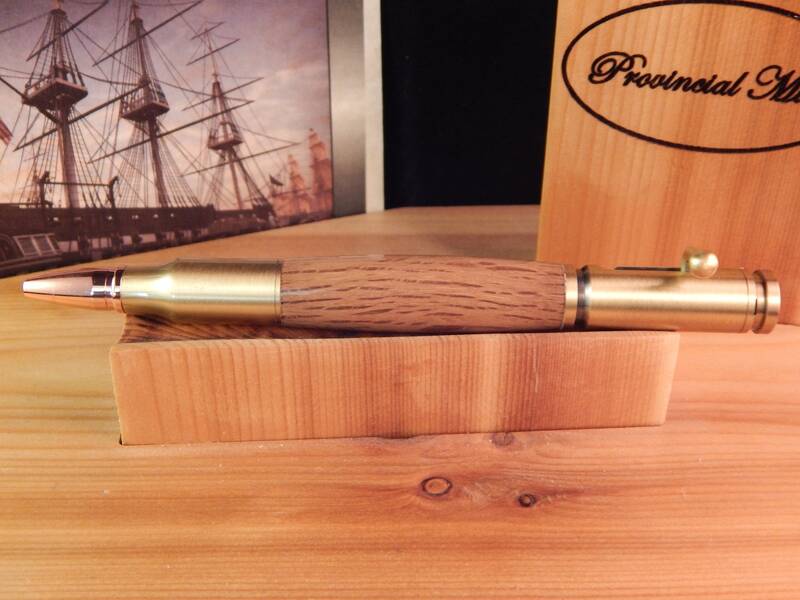 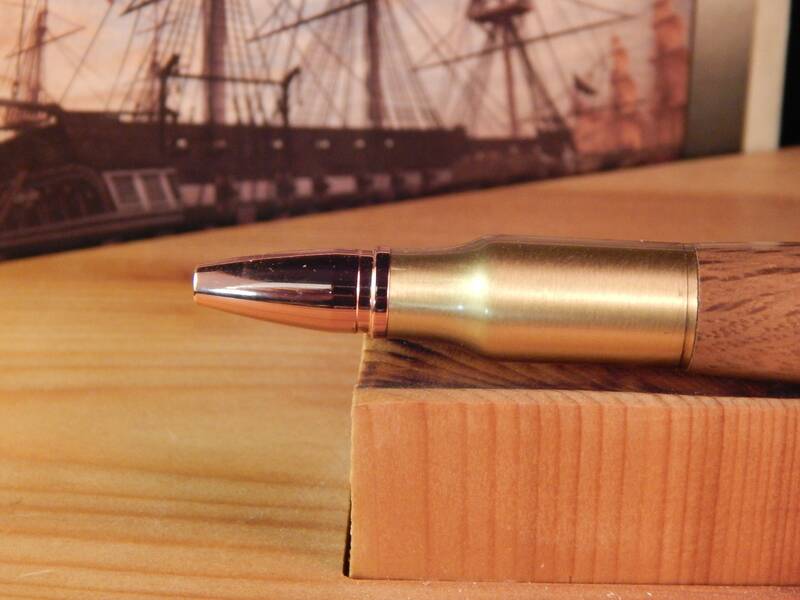 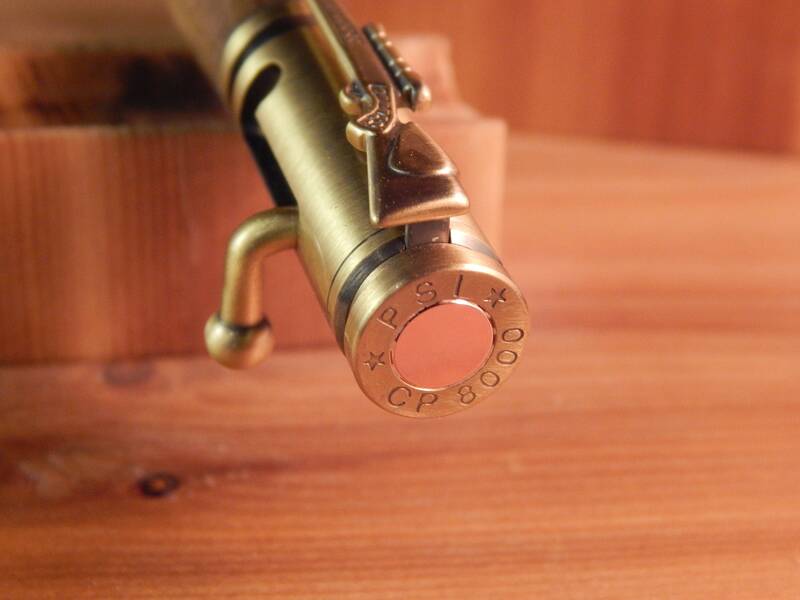 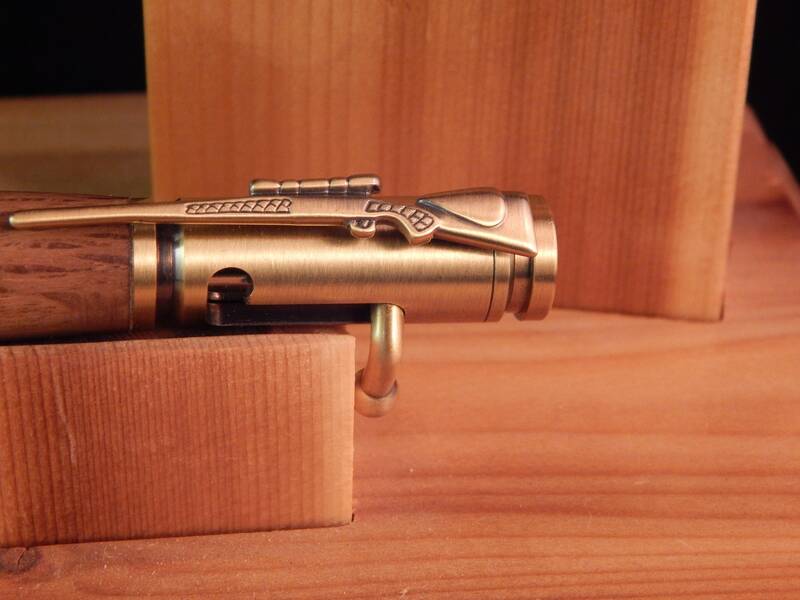 This 30 caliber bolt action ballpoint was crafted out of historic colonial shipyard oak and matched with antique brass fittings. 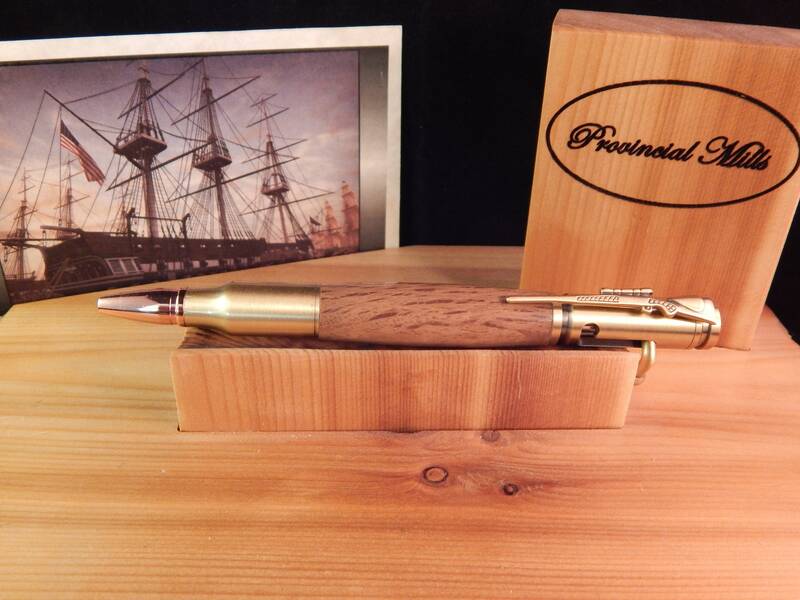 The ballpoint is extended by manipulating the bolt action on the side of the pen. 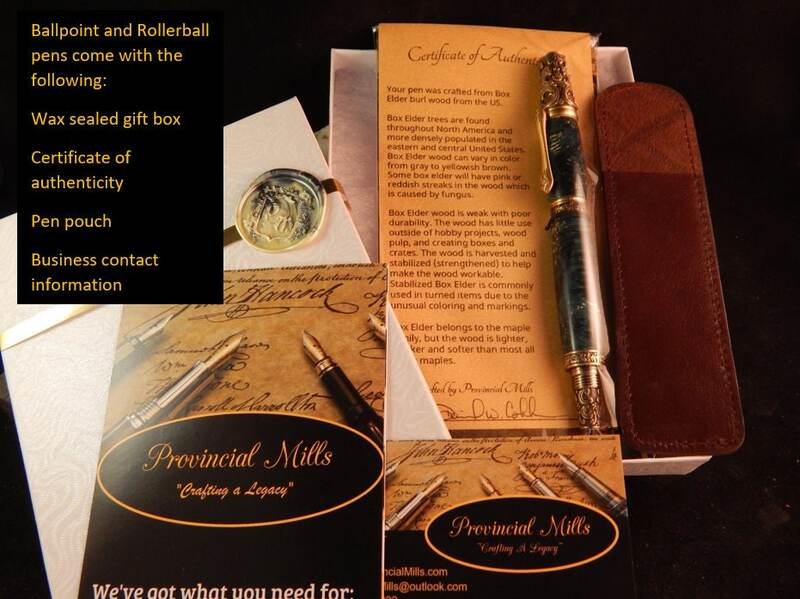 This is a perfect gift for any history lover. 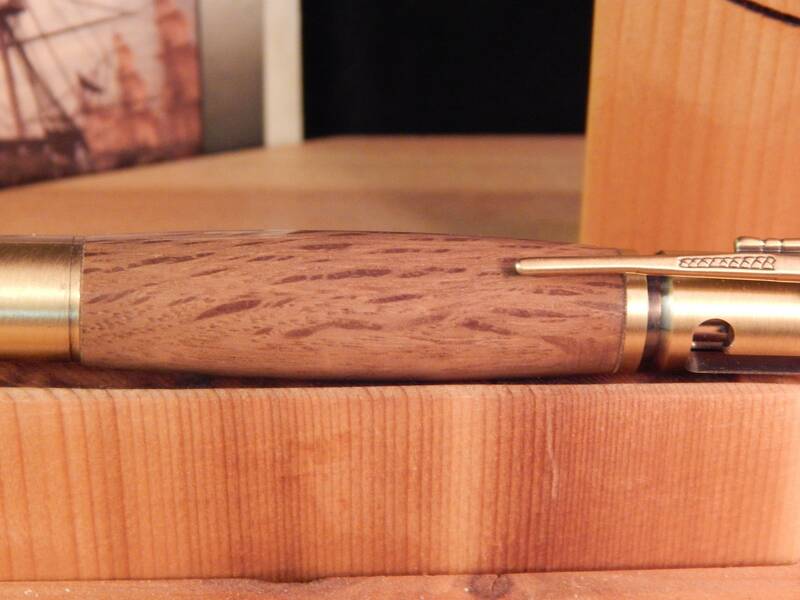 The pen takes Parker style refills.